Who says electronics and water don’t mix? Smartphones that can handle the rain, a dunk in the bath, or a tumble into a puddle aren’t the rarity they once were, and we’re not only talking about underpowered, basic phones covered in chunky rubber either. Today, some of the very best smartphones you can buy aren’t afraid of the wet stuff. Maybe you work outdoors, are tired of being afraid of having something spilled on your precious phone, or you just want to tweet while you shower in the morning. 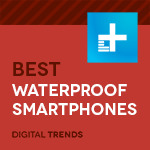 Whatever the reason, a water-resistant smartphone is at the top of your shopping list. The question is, which one is the best for you? Here are our top four picks for waterproof phones, plus some cases if you don’t want to change your existing device. Why should you buy this: It’s a curved beauty with plenty of power and an unbeatable display. For sheer style, the Galaxy S9 is the water resistant phone for you. Who’s it for: Anyone who wants a high-powered flagship phone that’s waterproof. How much will it cost: $720. Do you want a gorgeous smartphone with the latest tech inside, plus a super-curvy screen? Then pick up the Galaxy S9. It’s a simply stunning smartphone with IP68 certification, which means it’s capable of surviving in up to 1.5 meters of water for around 30 minutes. 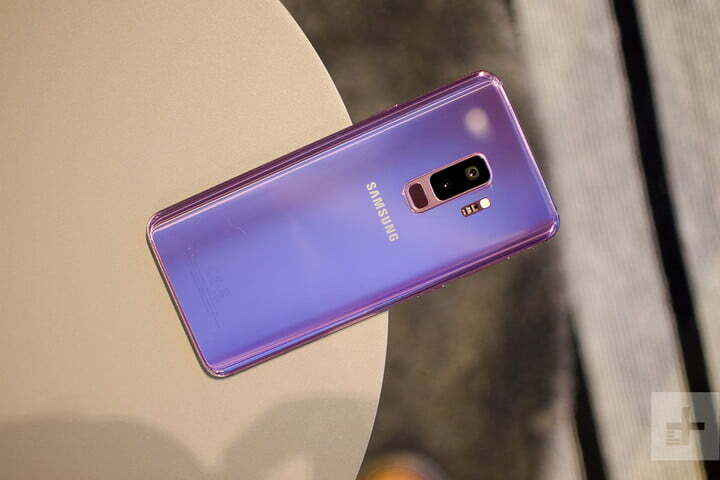 The S9 boasts a Qualcomm Snapdragon 845 processor, with 4GB of RAM, and an excellent 12-megapixel camera on the rear and 8-megapixel camera on the front. On the software side, it runs Android 8.0 Oreo, with Samsung’s own user interface over the top, making it look a little different than Android on other phones. That 5.8-inch Super AMOLED screen is the star of the show, with a 2,960 x 1,440-pixel resolution and unbeatable vibrancy and brightness. There’s a 3,000mAh battery inside, which should be enough to see you through the day. While the IP68 rating indicates an ability to deal with liquids, the S9 has curved glass front and back, so there’s a serious risk of damage if you drop it. If you’re willing to spend a little extra, you can get the S9 Plus, which sports a 6.2-inch screen, a bigger 3,500mAh battery, 6GB of RAM, and the same IP68 certification. If your budget won’t stretch, then consider last year’s Samsung duo, the Galaxy S8 and S8 Plus, or its trio from the year before, the Galaxy S7, the S7 Edge, and the S7 Active. All are IP68-rated and available at lower prices. Why should you buy this: Apple’s latest iPhone is simply the best iPhone that money can buy. 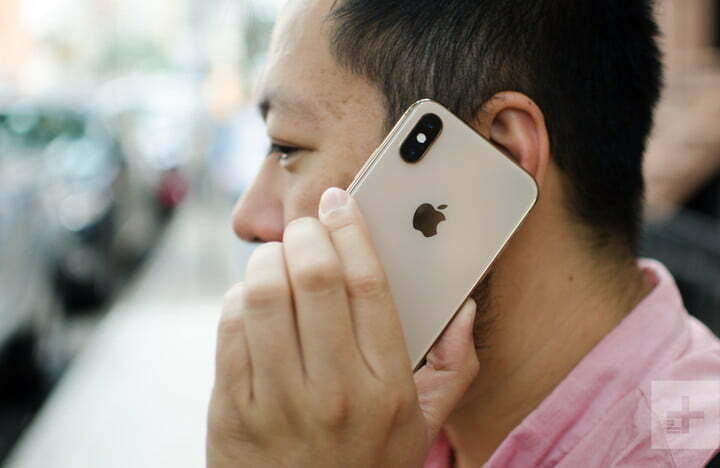 An outstanding camera, a sleek and futuristic design, and the most intuitive, regularly updated software around makes the iPhone XS a superb buy. Who’s it for: Anyone who wants a water-resistant iPhone. How much will it cost: $999-plus. Apple jumped on board a bezel-free smartphone future when it released the iPhone X. The iPhone XS features the same gorgeous design, but with a little more power under the hood. The OLED screen’s deep inky blacks and vibrant colors make it hard to pull your eyes away from it, and Apple’s True Tone tech changes the color warmth of the screen to account for the ambient lighting around you. But it’s not all about the 5.8-inch screen. Apple’s outstanding record on smartphone photography continues unblemished. The iPhone XS boasts two 12-megapixel lenses, with one wide-angle and one zoom lens. It sounds the same as last year’s iPhone X on paper, but the image sensor is larger, which means the iPhone XS is even stronger with low-light photography. You also get Apple’s Portrait Mode, which selectively blurs the background around your subject, giving your images a DSLR-style “bokeh” effect that lends your photography a professional look. Then there’s Portrait Lighting, which gives you the option of different lighting effects to really make your images pop. Apple’s newest A12 Bionic chip is fast and efficient, beating out all the competition, and though Touch ID is not coming back, Face ID has been improved, so it’s a touch faster. There’s no headphone jack, but the iPhone XS is rocking Bluetooth 5.0 for a strong and stable connection to your Bluetooth headphones. The iPhone X is IP67 rated, which makes it less water-resistant than the Samsung Galaxy S9, but it’s still capable of surviving dips of up to 30 minutes in “stable” water. So it will survive the toilet and the bath, but don’t take it into the sea or across any rivers. Viking raiders looking for an upgrade might do better to look elsewhere, but the IP67 rating should suffice for most. Why should you buy this: It’s the most rugged phone you can buy, with solid drop protection and water resistance. If you have a tough job, or a challenging hobby, the Cat S61 is the phone that will keep up, almost regardless of what’s thrown at it. Who’s it for: Climbers, hikers, construction workers, and clumsy people who love the outdoors. How much will it cost: $1,000. 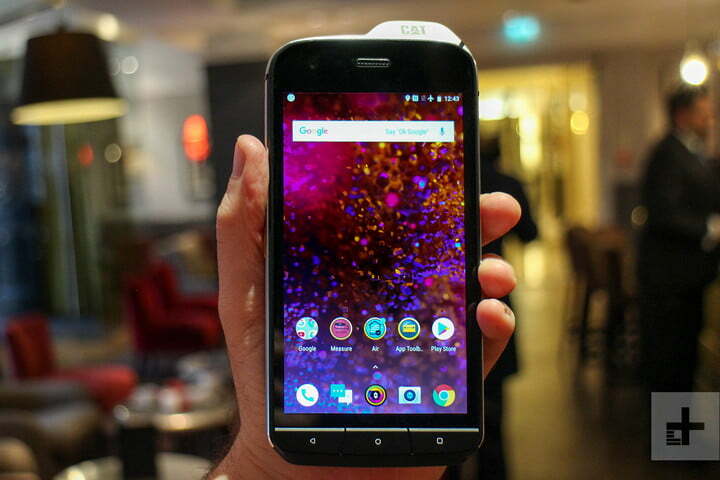 If all you care about is a phone that will still work after it gets dropped, bashed about a bit, or dropped in quite a lot of water, then the Cat S61 is definitely the phone for you. It’s extremely chunky, but the IP68 rating is good for 60 minutes in water down to a depth of 5 meters (16 feet), plus the MIL-STD-810G rating keeps it safe from dust, radiation, and shocks. The tough body will treat a fall from 1.8 meters (6 feet) onto concrete like it was nothing. By chance, if during all this abuse, the need for thermal imaging arises, the S61 will step up to this task as well. In a partnership with sensor company Flir, the S61 has an unusual thermal camera alongside its standard 16-megapixel shooter. It works with a special app to show heat palettes, temperature, and hot spots, which can come in handy for all sorts of professions, from vets to car mechanics. The rest of the phone isn’t quite so high spec as the others on our list. A Qualcomm Snapdragon 630 processor and 4GB of RAM provide the power, while the 5.2-inch screen has a 1,920 x 1,080-pixel resolution. However, no one will be buying the S61 for top specs or outstanding style. It’s all about survival, and the S61 is built to survive anything. Why should you buy this: Cheaper than getting a new phone, it’s a fast and convenient way to add protection. Buy a waterproof case for your phone to avoid changing it, or to add even more protection. Who is it for: Anyone who doesn’t want to change their phone, but wants to protect it from the elements. How much will it cost: $30 to $90. Instead of hunting around for a cheap phone that provides water resistance, why not just buy the phone you want, and put it in a waterproof case? There are various options out there, but we like the following three choices. The Lifeproof Fre promises to protect against water, dirt, snow, and sharp impacts. It covers the whole of your phone, including the screen and all the ports, so be prepared for an increase in overall size and weight. It’s a small price to pay for such a high level of protection. LifeProof Fre cases are available for most of Samsung’s Galaxy range, along with all iPhone models from the iPhone 5 on, plus the Google Pixel phones and a few other models. Catalyst cases are a great alternative to LifeProof, and come in versions suitable for all iPhone models since the iPhone 4. There are even cases for the Apple Watch and the iPad range. 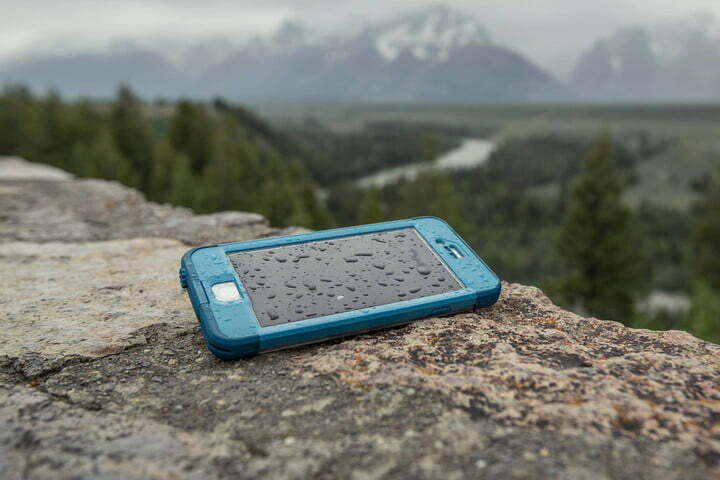 Tested to IP68 levels and a depth of 10 meters (33 feet), the cases protect against water, snow, dust, and dirt. Catalyst has paid attention to the little things, like ensuring Touch ID still works as you want it to, and the camera lens cover is of high enough quality to not ruin any pictures. If a custom waterproof case isn’t available for your phone, or you want a really cheap, reliable system, then get a universal “dry bag” type case, which seals your phone inside a pouch and keeps all the elements out. There are plenty of choices out there, in various colors, such as this one from Joto. It has an IPX8 rating and fits phones with screens smaller than 6 inches. When we talk about waterproof hardware, we often refer to an IP rating. This stands for Ingress Protection, and is usually followed by a number, which refers to its ability to withstand water and dust. The first digit relates to solid particle protection and the second digit to liquid. To meet the IPx8 standard, the device must continue to function normally after being left in water “continuously,” although the exact details are usually down to the manufacturer. For example, Samsung says the Galaxy S9 “can be immersed in 1.5 meters of water for up to 30 minutes.” Drop that down to an IP67 rating, and the depth changes to a meter, and protection is only for a short time. Here’s a complete breakdown of what all the IP codes mean, if you want to check out other ratings. It’s worth pointing out that while we call these phones waterproof, they remain so for a limited amount of time at best, and are technically water resistant. In other words, we don’t advise you to deliberately submerge any of them, especially not for very long, but it’s still nice not to have to worry if an accident happens. Keys, wallet, smartphone. That’s how the mantra goes when most of us leave the house, ensuring nothing essential has been left behind. Because our phones are now such an important part of our everyday life, choosing the right one requires the same degree of research as a new car, or a new computer. We know this, which is why each phone we review becomes part of our everyday life. We want to tell you what it’s like to live with, before you put down your money. We check our emails, play games, take photos (lots of photos), browse social media, watch video, and much more to see how the phone performs in the situations you will most often encounter. On the technical side, we’ll check the benchmark results and dive more deeply into the software, but it’s regular use that tells us what we want to know. From this, and similar experience with other devices on the market, we can advise you on which model to buy. If it’s not worth it, we’ll say, and let you know the reason. You’ll know if we love it too, because we’ll sing its praises repeatedly. We use our phones all the time, and form quite an attachment to them, so the decision on which one to buy isn’t to be taken lightly. It makes sense for us not to treat reviewing them lightly either.